Final Fantasy XV is less than two weeks again now, but those who really cannot wait to get the anticipated new role-playing game from Square Enix have the chance to try out the beginning of the game with the Japanese Judgement Disc demo. 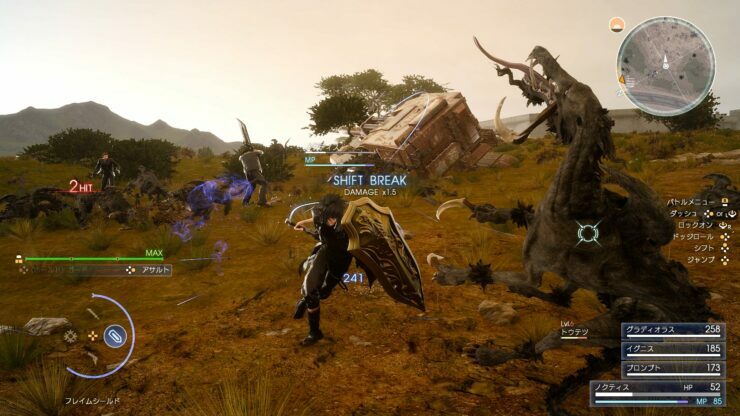 As previously reported, the demo comes with a variety of glitches, but some players have managed to exploit them so to do things that aren’t normally possible. A new Final Fantasy XV 2 hour long gameplay video has been recently shared on YouTube, showcasing a sewer dungeon that is not normally accessible in the Judgement Disc demo. The video includes spoilers for this dungeon, so avoid watching it if you’re trying to avoid spoilers as much as possible. Yesterday, another dedicated Final Fantasy XV fan put together a rather interesting video which highlights the visual improvements HDR brings to the game, which are quite noticeable. The glitches found in the Final Fantasy XV Judgement Disc demo will not be found in the final release, according to what director Hajime Tabata revealed recently. A day one patch will fix most of the issues so that the experience will be as smooth as possible. Thank you for playing the demo. On the subject of bugs, we are already fixing them and plan to offer an update to users able to apply patches. Please rest assured that we will identify the frequency of the bugs and make fixes as needed. Final Fantasy XV launches on PlayStation 4 and Xbox One on November 29th in all regions.